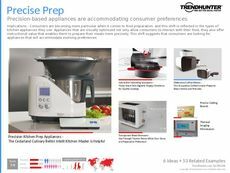 Find Better Ideas, Faster ® with a custom smart kitchen trend report, our PRO Dashboard and 80+ categories of premium trend reports. 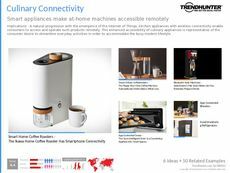 Trend Hunter's Smart Kitchen Trend Report showcases how smart technology and the home or commercial kitchen can be effectively combined together. 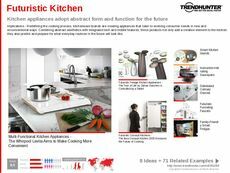 We highlight new technological advancements in the realm of kitchen appliances and accessories. Using our crowdsourced research model, we also demonstrate how these new trends are set to perform across multiple consumer demographics as well. 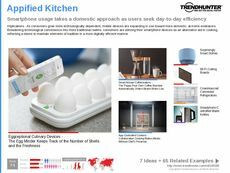 Use our report to enhance your knowledge of the modern technological landscape, and apply this knowledge to rethink what you know about the traditional kitchen. 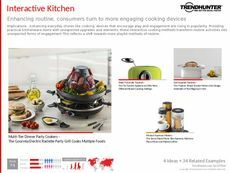 Interior designers, tech developers, professional chefs and houseware retailers will find our research especially useful in their endeavors. 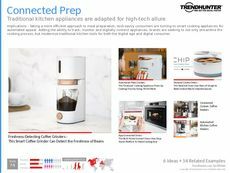 Stay on the cutting-edge of the fast-paced world of technology and design with Trend Hunter's Smart Kitchen Trend Report.